Last edited by WaveProf on Fri Jan 11, 2019 8:37 am, edited 8 times in total. UTEP plays Rice and UCONN plays Tulsa this week. BTW, if UTEP doesn’t win it will be head coach Dana Dimel’s 2nd winless season. He went 0-11 at Houston in 2001. But just remember Boudreaux Teevens threw up one winners both here and Stanford. He was just setting a bar for Dana to slide under. If I remember right the thinking was that he assembled the team that Bowden won with and after a stint as Spurrier's assistant offensive coordinator at Florida he deserved a second chance, but he didn't turn in a 1 win season there. 2, 4, and 4. He won almost as many in 3 seasons there as he did in 5 here (10 vs 11). UTEP up 20-0 at Rice. Thanks for catching my error. It was Walt Harris who threw up the one-fer at Stanford not Buddy. 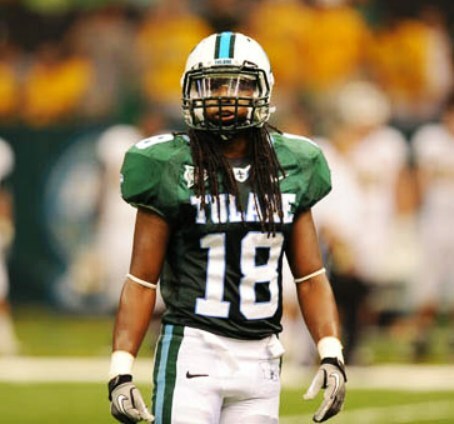 Teevens did recruit above his weight at Tulane and lost an incredible number of competitive games. He just was not successful at half time adjustments while at Tulane. Bowden and RR did win with basically the same players. Other than Fritz I did think he is the nicest coach at Tulane I've ever met. He is well set at Dartmouth but lost a very close game to Princeton today for Ivy League lead. I had to look it up, I thought Harris went 0-11 but it was 1-11. UTEP wins, they’re 1-8. Rice is 1-9 with no wins against FBS teams. UConn @ Tulsa is underway, 10-0 Huskies after 1. Most importantly, Alabama is staying undefeated. Thus far, emphatically. Post-game edit: Alabama 29, LSU 0. Ouch. Even USL put up 14 points against Alabama. I posted on Facebook, that even if you add up the scores of the two Alabama QBs today (actual, and USF transfer) and two LSU QBs (actual and McMillan), Alabama still beat LSU. For obvious reasons, this place had been dead, dead, dead the last several weeks. I'm starting to wonder of the health of some of the regulars. Rice beat ODU to finish 2-11. UConn finishes with no FBS wins. Remember when that was a Tulaney thing to do? How did they ever beat Rhode Island?